This page contains pricing for Ajax Rock Oasis. For pricing at the Toronto location, CLICK HERE. 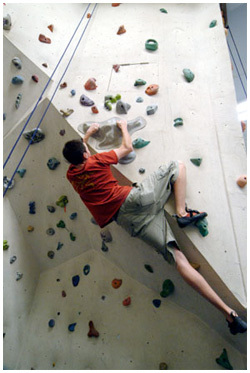 Learn the basic safety skills necessary to climb in the gym. Includes the lesson, equipment and climbing time. Reservations are required. Please call 905-231-3434 to book. Reservations cannot be made by email. •	Prices do not include instruction or equipment rental. •	Student pricing requires a dated student ID. •	Child pricing is for kids under age 13. •	Family price is for two adults and their children under 18 living at the same address. •	Monthly membership is a minimum of two months. •	All prices are subject to HST.